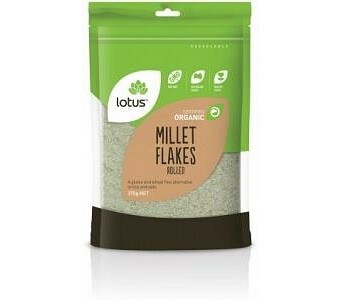 Lotus Organic Rolled Millet Flakes are a gluten and wheat free alternative to rice and oats. Ingredients: Rolled Whole Millet Grain. No Preservatives or Additives. Certified Organic by ACO.